“The feedback was extremely positive as was expected! Everyone truly enjoyed both of your programs and your amazing energy!" "Working with Judy was seamless, easy and fun. Judy is not only a pro and a veteran in her field, her amazing energy, ideas and insight brought a ton of knowledge to me and my practice. I was able to take back her ideas and insight and utilize them the first day in my practice. Her seminar was interactive and filled with fun that the day with her seemed too short. I am hoping that we can bring her back with our group and learn more from her extensive knowledge. Thank you Judy.... — feeling inspired." "I wanted to thank you for taking part in our Partnership Study Club of Danville. Your talk on the W.O.W was one of the most interesting topics. It was an honor for PSC to have you on as our guest speaker. I believe the knowledge you shared will help immensely with our group as a whole. We know your time is precious and we are grateful you shared some of it with us. We look forward to your participation on future events. " "Last Thursday, at Yankee Dental, I heard Judy Kay speak for the first time. I was captivated. Her message regarding the importance of relationships was "spot on." To Judy . . . your joy, your enthusiasm, and the love you so freely shared, was contagious! You are EXCEPTIONAL! Thanks for a great morning." “It isn’t easy to get a group of 100 dentists excited and energized at 8:30AM. Judy Kay is passionate, and radiates this to those around her. It is incredible to watch her, as she goes around the room, getting people to be what they really want- to be happy, to smile; no matter how much they initially resist. 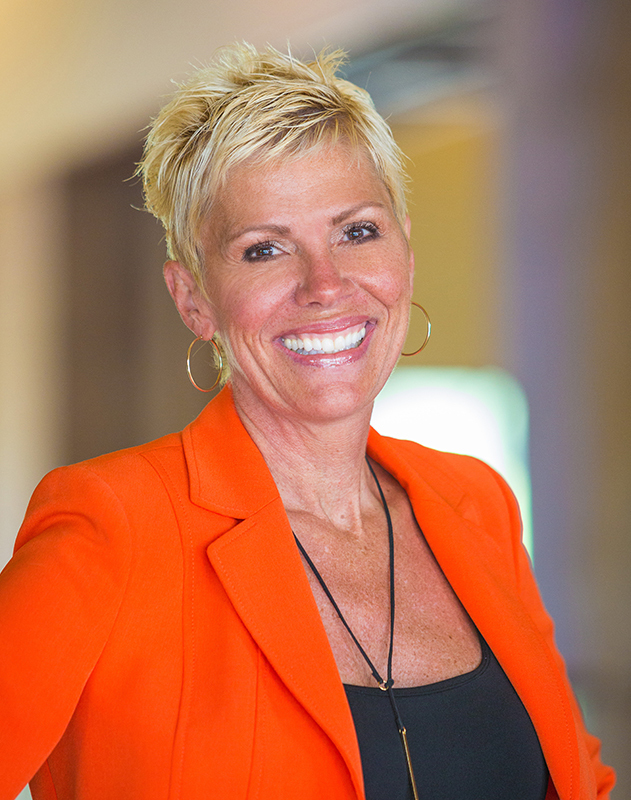 "Judy Kay Mausolf is an exceptional speaker, energetic and all around amazing person! She spoke to a group of our referring dentists and their staffs and did an outstanding job. We got great feedback from the attendees and everyone walked away with pearls to better their personal and work lives! We highly recommend her!" "Speaking as an event coordinator, working with a speaker as efficient and pleasant as Judy Kay is unusual. From booking the date to post-event, Judy Kay is personally involved every step of the way. She is prompt in responding to messages and requests, always maintaining a positive and encouraging attitude. The day of our event, I observed her calling every person at the venue by name, from the bartender to the A/V technician, to the president of our association. She truly lives what she teaches." We couldn’t have been more pleased with Judy Kay Mausolf. After reception of many notes from my faculty and staff, many lives have been changed for the better! I attended the 2015 Pacific NW Dental Convention in Seattle, WA in June and experienced one of the most inspiring lectures. I was moved and motivated by Judy Kay Mausolf~ personally and professionally. I knew she would be perfect to perform at our 2015 Administrative & Leadership Study Club kick-off meeting four months later. I wanted to set the tone for the year by having my members feel uplifted, passionate about their life and careers, and want go back to their dental practices ready to support their team! Her personality is vibrant, infectious, and full of positive energy. I found both experiences life changing. If you are looking to fill the gap of communication and create a high performing team, this is the coach for you! Judy Kay is an awesome speaker! She made the Dental Summit Nashville a meeting that will be long remembered by all. Her ability to capture the audience and instill WOW and Team building techniques is without parallel in the business. Thank you Judy Kay for being part of our program as a super Key-Noter! While attending the Carestream user meeting earlier this year in Atlanta, Dr. Steven King and I had the pleasure of attending a presentation given by Judy Kay Mausolf. Wow!! She really inspired me and got me thinking I needed this uplifting presentation for my staff. After contacting Judy and getting to know her on a personal level, she certainly gave me a brighter outlook on my day to day involvement with the staff. Dr. Gordon Brady and I decided that we needed to share Judy’s enthusiasm with our TEAM! With our entire TEAM of 75, Judy gave an amazing presentation. The feedback from our staff has been overwhelming. Not only did she inspire them on a professional level she gave them many tips to use personally. We look forward to having Judy back to share her presentation with our referrals and their staff! Thank you Judy Kay for putting a shine back in our lives! Judy Kay's presentation to our staff did wonders. The message that "before you can treat patients well you have to treat your co-workers well" was right on target. The feedback from the staff couldn't have been any better. They all felt that Judy was talking to them as an individual, giving advice on attitude and behavior to be used at the office but also in their personal lives. Judy was entertaining and up lifting and well worth the time we spent with her. “She was so awesome that I texted my co-workers after the first 10 minutes and said you have to come see Judy Kay!" Your presentation was fantastic! The feedback from my group was Awesome! Everyone enjoyed your sessions at the Texas Meeting in San Antonio. You were a big hit for our meeting, a big Thank You from Texas. Our t-shirts are a big "thank you" to Judy Kay for giving Dr. Little and myself the inspiration and motivation to make the changes to finally move forward and enjoy doing dentistry. Our team arrives everyday with a "smile and shine" attitude, we have our buddy checks and at the end of the day we celebrate. Ta Dah!!! I purchased and was mentored in a successful practice that came with employee baggage. I was fearful to make the changes that were required in fear of losing a significant portion of the practice. When my office manager and I saw the shine (light) of Judy Kay we had the whole staff change. Today we have a staff that is excited to be here and it is truly fun. I would like to take this opportunity to express my appreciation to Judy Kay Mausolf for the phenomenal session she presented at last year’s Dental Managers Conference, presented by the American Association of Dental Office Managers (AADOM). The best and brightest in dental practice administration were in attendance at this conference and her session received rave reviews from our members. According to attendees it was exciting, informative and provided them with relevant and vital information. I know for a fact that some attendees came to the conference specifically for Judy Kay’s session and they were thrilled with it! It was evident that Judy Kay put an amazing amount of preparation into the materials and handouts she created. Her message was insightful, engaging, and exciting. I would recommend Judy Kay Mausolf as a speaker for any dental event, as well as any event that promotes communication. I look forward to having Judy Kay as our keynote speaker for our 8th Annual Conference in Scottsdale, Arizona, Sept 6-8, 2012! Heather Colicchio, AADOM President. I have heard over and over again from our attendees how much they loved your presentation. Just today I called an office that attended and they said how much they enjoyed your positive message and that they were using some of your suggestions to keep their 'Ray of Sunshine' going in the office. Thank you very much for taking part in the annual dental assisting seminar. The group thoroughly enjoyed and benefited from your communication session. “Very good,” “dynamic,” “awesome speaker,” “very informative,” “wonderful energy,” were some of the adjectives listed on your evaluation. It was also noted that the information was very useful for their practice setting. You did a great job of meeting the needs of the audience. I certainly will keep you in mind for future programs! Our study club felt that Judy Kay’s presentation was exceptional—both information and motivational! We all came away with great ideas about how to improve office communication and I would highly recommend Judy Kay for your next meeting. Every now and then a rare find as a speaker comes along—one who not only delivers a powerful message but displays confidence and endearment to their audience at the same time. You won’t find a more authentic or relevant speaker than Judy Kay Mausolf! She moves audiences through timeless yet contemporary material and guides them toward illuminating their personal potential. Judy Kay will move you to action and inspire you to reach for more. Judy Kay is not only an energetic, heartfelt speaker with plenty of real-world tips for real people but she is also the epitome of comfortable, sassy, classy style herself! Audiences immediately connect with her humor and content and feel inspired to make the little changes that make a big difference in the business world. Our Seattle Study Club, Northern Lights Dental Forum, has had the great pleasure of having Judy Kay speak at two of our meetings. She always imparts valuable and pertinent knowledge in an open and entertainment environment. Her warm and outgoing personality draws in the audience and keeps them interested and involved in the presentation. I have look forward to working with her in the future. I would highly recommend her. Judy Kay did a great job in helping us implement change. She listened to our concerns and tailored her presentation to fit the specific needs of our dental practice. I would recommend that any office looking for a boost in morale and a different way of approaching everyday work life to contact Judy Kay! Judy Kay Mausolf spoke to The Fort Study Club on November 13, 2009. The meeting was attended by Doctors and Staff! Judy Kay’s message was spot on. At the end of the day, my staff was all jazzed up and discussing ways to facilitate better communication and teamwork in the office. As Judy Kay would say, “It’s time to show your shine!” Thanks Judy Kay! All I can say is that Judy Kay is so professional and energetic. She delivers all that she promises in a very intelligent, honest fashion. Do not hesitate to have Judy Kay in your office or on your platform. She is a credit to her profession. Judy Kay Mausolf spoke for us at the CA Dental Association in 2011, and she was a wonderful addition to our program. She is easy to work with, an energetic speaker, and was well received by our attendees. Recently Judy Kay Mausolf presented her program “Communication Solutions” to our study club. Her energy and enthusiasm filled the room like a bright ray of sunshine. Her information was current and exactly what the doctor ordered for our members. Working with Judy Kay is certainly not work, but a pleasure from the initial contact to the final question at the end of the program. The Great River Study Club is grateful for Judy Kay’s passion and wisdom and hope to have her speak for us again in the future. Judy Kay recently spoke for our Women’s Leadership Connection group on Communication Solutions and she was fabulous! Our attendees loved the content, practical tips and insight into dealing with attitude and gossip. Not only did Judy Kay make a tough subject fun, she had the group laughing and ready to take back these tools to use in their own organizations. We’ve already scheduled Judy Kay for another speaking engagement and we can’t wait! We invited Judy Kay back for our 2013 annual conference based on requests from our attendees. They love her enthusiasm, her insights into the patients experience and her expansive knowledge of how to get teams working together and communicating effectively. This letter of reference of Judy Kay with Practice Solutions comes very easily. We have a very successful dental practice but struggled with patient communication and team harmony. Both of which, I believe, had us trending downward financially with both patient and staff discontent evident. Having been fortunate to have had a chance encounter with Judy Kay and attended one of her lectures at the IACA conference, I felt that she could have a positive effect on our practice. As early as our first phone consultation, she had a profound impact on our practice. She brings a tremendous energy steeped in team and patient respect of each other. The result has been an overwhelming transformation in our office environment. She resonated very well with the staff and created an environment which was more fitting of our personalities and the community we serve. This has been the most amazing year thanks to working with Judy Kay as our coach! She came into our practice willing to listen and to be open and respectful of our individual, team, and practice goals. Together as a team, she helped us create the vision of how we would like our practice to be. With the help of her coaching, we were able to build a culture of trust and open up and actually talk to one another. I initially thought her approach of understanding mindset/beliefs, holding each other accountable daily to a positive attitude and empowering each team member to maximize their performance was a bit of fluff. That any results we received would not last. Well, I am happy to say that since we implanted her fluff the results have gone beyond my greatest expectations. Production and collection are at an all-time high and we have a month left in the year. Our accounts receivables went from 1 ½ months production to a 1/3 month’s production. Collections are at 99.8%. Everyone has found their groove and has taken ownership of their role as an integral part of the team. The office moral is, well let me just say it is as happy and healthy as she said it would be. We are looking forward to starting another year with Judy Kay, who continues to inspire and empower us to be the best we can be! Hiring Judy Kay Mausolf has been one of the best decisions I’ve made for my practice in a long time. I’ve had a number of consultants in my office over the 20+ years I’ve been in the business, and I’ve learned something from each one. Judy Kay takes all of what you have in place already, selects what needs changing or updating, adds warmth and charm to the whole encounter, and somehow manages to not only get the whole staff on board, but excited and enthusiastic about the practice again. What a great experience, I only wish I had done it a lot earlier. I would recommend her whole-heartedly, and with no hesitation. Judy Kay can bring to any dental practice fresh, dynamic perspectives that are communicated in an enthusiastic and realistic manner. Over the past year, she assisted me in the transformation of a dental practice that was financially healthy but lacked vision and unity. With her objective approach, she not only helped in identifying existing strengths, but more importantly, how to better utilize them on a regular basis. She enabled me to recognize daily obstacles that kept my practice from reaching a more meaningful and rewarding horizon. She offered diplomatic insight and took a personal interest in myself and each individual staff member. From day one, Judy Kay routinely demonstrated her belief that her own personal success rested on our success. With her advisory contributions, we are more effective in our daily efforts and are navigating in a clear direction. I have known Judy Kay Mausolf and worked with her professionally for almost 14 years. She was the key person in the management of a local chapter of the Seattle Study Club for 12 years and received an award at a national meeting for her management skills. In my role as a prosthodontic advisor to the study club, I have had the opportunity to work with Judy Kay and to observe how she works with others. I have always been impressed with her ability to make sure people are well taken care of and brought into the group on all occasions. I have watched her interact and she has always been very well received. She is highly motivated, extremely well organized, and dependable. In summary, I feel Judy Kay would be a positive asset to any practice. Judy Kay is organized, efficient, and extremely competent. She has excellent rapport with people. She is extraordinarily resourceful and delivers results. I highly recommend her. Judy Kay Mausolf has served as a practice consultant for my recently acquired dental practice. She has played and continues to play a key role in helping me as I go through this transitional phase. My encounter with Judy Kay has been a blessing. She has a great deal of experience and knowledge, but most of what she brings is a great personality and high energy. As we work together I have come to value her input, and look forward to continue this relationship. I would hold no reservations in referring her to any of my colleagues. I have known Judy Kay Mausolf for almost 10 years as our Seattle Study Club advisor. Her skills in motivating dentists, keeping us organized, and making learning fun have always impressed me. At the end of 2006 Judy Kay and I decided to work together to improve my office efficiency, increase net income, and progress to my ultimate goals of bringing in a buy-in and buy-out partner within the next five years as well as in the very near future drop a very difficult to work with PPO insurance company. During the first month I had a family medical crisis. She made the world of difference for me. Thankfully, Judy Kay’s wisdom prevailed. I will always appreciate this support from her. I am thrilled with my staff now. We have bright, talented, mature, passionate, and compassionate hygienists and assistants whom she helped me interview. Our office continues to be cheerful, much more efficient, and a great place to work for me. My production has improved as well as my net production. I look forward to the continued positive progress. Hiring a quality new team member has always been a challenge in our office and we had to sift through a lot of poor applicants to glean the members we were looking for. Judy Kay made this process virtually painless. She met with us to design an ad to focus on the qualities we were looking for and she monitored, screened, and even interviewed the applicants for us. I now have added an in office coordinator with all the qualities Judy Kay and I had discusses and I couldn’t be happier. We are set to take our practice to another level. -Mark Malterud, DDS, MAGD—St. Paul, MN. What Audiences and Meeting Planners Are Saying About Judy Kay!